Presented by Mark B. Stephens, MD MS FAAFP, Professor of Family and Community Medicine at the Pennsylvania State University College of Medicine in State College, PA. Multiple lectures on pathophysiology, pharmacotherapy, behavior, nutrition, & surgery by various speakers. Earn CME while you support your chapter. 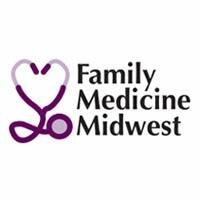 Show your support for the specialty organization solely dedicated to serving your needs as a family physician. Support your chapter with the purchase of an AAFP clinical self-study package. Use the source code 4MYCHAPTER during checkout to help benefit your chapter! UIC offers free online accredited learning in Inter-professional Geriatrics. Includes 32 a-la-carte modules on topics related to the care of older adults. Brought to you by the AMA, and Telligen, the Medicare Quality Innovation Network Quality Improvement Organization. Contact Sara Ortega to submit information for CME Connections.